For students, one score doesn't tell all. A national survey in 2011 found that the predominant method of assessment, by far, is the administration of IQ tests and standardized academic tests. At least 34 states, including California, consider such tests an indication of giftedness; they are mandated by at least 16 states. In contrast, only nine states require the use of tests that measure "creativity" and even fewer require the assessment of leadership, motivation or a talent for the performing arts. Although no state permits a single IQ score to determine gifted eligibility, 18 states set strict cutoff scores, and testing is typically a one-shot deal: You're either gifted or you're not, for the rest of your life. On every count, these policies profoundly limit the intellectual and innovative possibilities of all students. I can attest to just how limiting the process is. As a child, I was diagnosed with an auditory disorder that made it difficult for me to process speech in real time. I repeated third grade. Then, after an anxiety-ridden IQ testing session in fourth grade, I was sent to a school for students with learning disabilities. By the time I reentered public school in sixth grade, the label "special ed" was hard to overcome, despite my yearning for more intellectual challenges. If it weren't for a couple of teachers (thank you Mrs. Jeuell and Mrs. Acton!) who considered the kid rather than the system's preconceptions, I might never have earned a doctorate at Yale. How does the system go wrong? For one, educators frequently treat IQ scores as if all students with the same score have the same educational needs. In reality, everyone with the same score got there with a different pattern of cognitive strengths and weaknesses. When properly interpreted, a comprehensive test battery can offer insights into working memory, abstract reasoning, visual-spatial ability, mathematical reasoning, reading comprehension, writing ability, vocabulary, auditory processing and processing speed. Research suggests that identifying these specific cognitive skills, not a single global IQ score, has the greatest value for determining who will benefit from various educational programs. But even done well, standardized testing has limits. Many other factors contribute to learning and real-world success, from active learning strategies to intrinsic motivation, grit, self-regulation and outside support and encouragement. Consider The Posse Foundation, a national scholarship program that recruits high school seniors with extraordinary potential that standardized testing has missed and helps them succeed in college and beyond. Nominated students, mostly from disadvantaged backgrounds, undergo a three-month "dynamic evaluation" that involves group and individual interviews to assess leadership, communication, problem-solving and collaboration skills. The aim is to truly get to know the person, not just his or her numbers, to determine who can benefit from the program. Although the average SAT score of Posse alumni is much lower (1,053 out of 1,600) than the average at the colleges and universities they attend, their academic performance matches that of the general student body at those institutions, many of which are prestigious, such as Cornell University and UC Berkeley. Among Posse graduates are a college dean, a cardiologist, a film director and a lieutenant in the Army. Many have earned graduate scholarships and doctorates. Posse's results demonstrate that people can achieve similar academic and life outcomes by drawing on different mixes of personal characteristics. The testing system also goes wrong when educators assume that IQ scores and intelligence are immutable. Educational psychologist Kevin McGrew compared test results and reported that a given student's IQ could be expected to vary from 16 to 26 points depending on which IQ test he took. 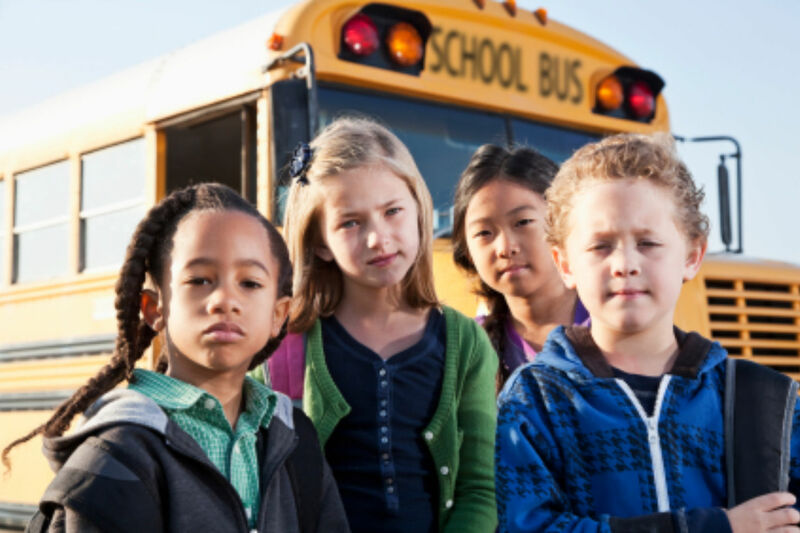 In one large-scale analysis based on 6,321 students, researchers found that only 35% to 40% of the students who met the gifted standard in third grade still met it by eighth grade. Undoubtedly, the reverse was also true. IQ test score fluctuations may be due to test administrators making a scoring error or to students who zone out. But researchers also credit the brain's neuroplasticity and the importance of experience on its development. Reasoning training, for example, can strengthen connectivity in the "executive attention network," which is crucial to concentration, multitasking and the ability to integrate diverse ideas. In other words, "human potential" is a moving target. A student's performance at any given moment on standardized assessments ought to be seen as an indication of readiness for engagement in a particular area, not a measure of static ability. Is there a role for IQ testing in the education system? Yes, if it stands for intelligent testing, a technique pioneered by psychologist Alan S. Kaufman, not intelligence testing. Unearthing a child's fixed, innate level of giftedness should not be the goal of education. The tests and labels should never be used to limit a child's access to accelerated resources. Instead, testing is an opportunity to learn about the child's strengths and weaknesses, with the goal of tailoring a program to his or her needs. Strict cutoff scores must be banished and global IQ scores deemphasized. The test scores have to be viewed in context: How do students behave during testing? What kind of learning opportunities and environment are they exposed to? What's their level of grit,leadership, creativity and talent for things other than academics? Perhaps most important, assessments have to be revisable. It may be time for a paradigm shift: Perhaps we should stop describing people as gifted or ungifted and start describing a wide range of personal characteristics and environmental factors as potential gifts — and promote an educational culture that develops them. Project Bright Idea offers an example of how this might work. It was founded on the assumption that all children benefit from gifted curriculum. The latest phase focused on K-2, with students whose economic and educational backgrounds don't usually land them in accelerated programs. It targeted a wide range of "gifted intelligent behaviors" including thinking flexibly, being self-reflective, creating, imagining and innovating, taking responsible risks, listening with understanding and empathy, and remaining open to continuous learning. Virtually none of the students involved had been nominated for gifted and talented programs. But by second grade, about 1 in 4 was identified as gifted. And even those who weren't showed substantial improvements in the gifted behaviors that were taught. On top of that, one principal found that nearly every Bright Idea student scored 50% to 100% higher than students in the regular classrooms on every academic assessment given. When I was in ninth grade, Mrs. Jeuell asked me a simple question: "What are you still doing in special ed?" It galvanized me. I talked my way into regular and then advanced classes, but I hit another roadblock. The school psychologist, my fourth-grade IQ test in hand, blocked my access to the gifted program. Mrs. Acton believed in me and let me unofficially join her "Challenge" class, allowing me to prove myself. What happens when Mrs. Jeuells or Mrs. Actons don't materialize? How many children are trapped even now by the low expectations contained in a misunderstood and misused test score? 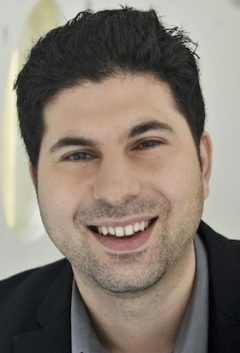 Scott Barry Kaufman is an adjunct assistant professor of psychology at New York University and the author of "Ungifted: Intelligence Redefined."